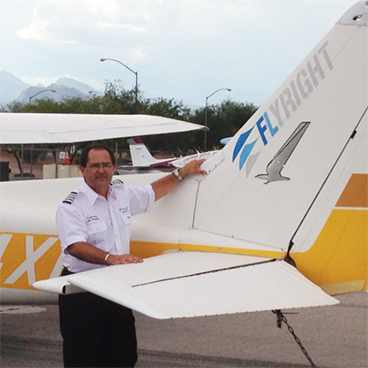 Why do your flight training with Flyright Aviation. Our mission is to teach students the aeronautical knowledge and piloting skills necessary to achieve their certificates and ratings, and create a solid foundation for students future aviation goals. We perform a comprehensive evaluation of your skills and experiences and use this to personalize a training program that is right for you. It's this type of training program that allows students to quickly become proficient with the knowledge and skills required to pass their practical test (checkride). We provide a comfortable training environment which allow students to remain focused on their aviation goals while promoting students to achieve a greater understanding of the material and ask in depth questions. The philosophy of Flyright Aviation is to provide quality flight instruction by developing a personal but professional relationship with every student and to have fun while learning.